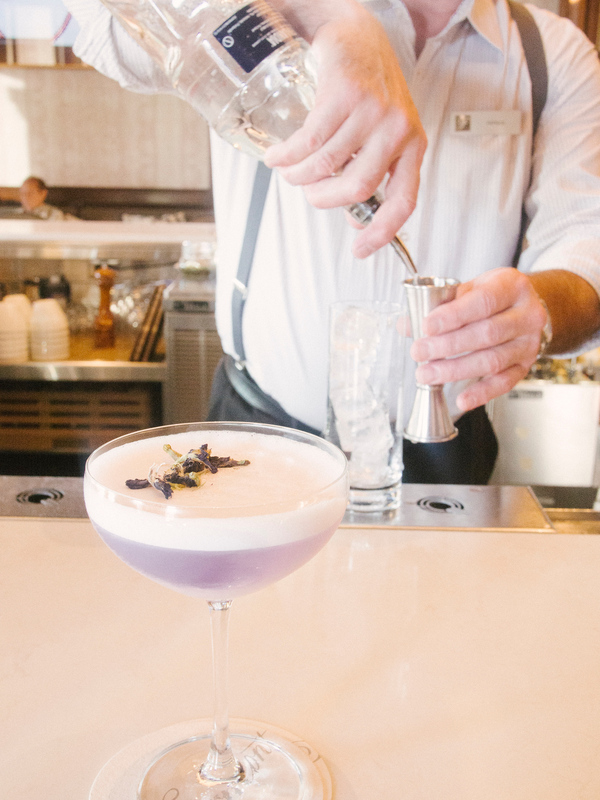 This gin sour recipe is a signature cocktail from the Fairmont Empress in Victoria uses their signature Empress 1908 Gin. While the craft beer scene in Victoria has exploded, it hasn’t been to the detriment of cocktails. 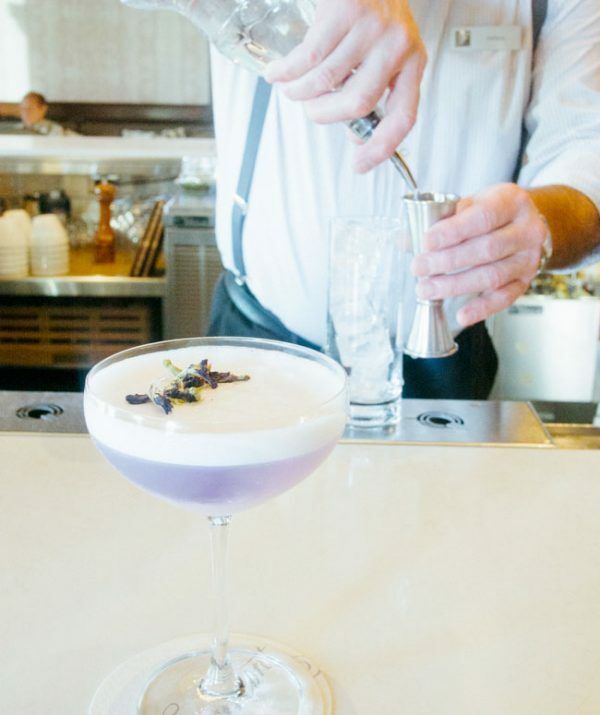 While Victoria is a relatively small city, cocktail bars are thriving here and restaurants are also in the game with in-house bar programs. One of the reasons for this is the access to great local products and strong support for local businesses. Victoria Distillers is Just outside the city in the small sleepy town of Sidney. It’s a family business making a variety of spirits and bitters, but it’s well known for its gin. I drove out one afternoon to visit Victoria Distillers’ president, Peter Hunt and I didn’t think it would be a visit that was out of the ordinary. It’s a small facility with a tasting room, production and packing in-house. I sampled all of the spirits and they were great but he left one bottle until the very end. It’s named after the Fairmont Empress Hotel in Victoria, which opened in 1908. A historical landmark within the inner harbour. 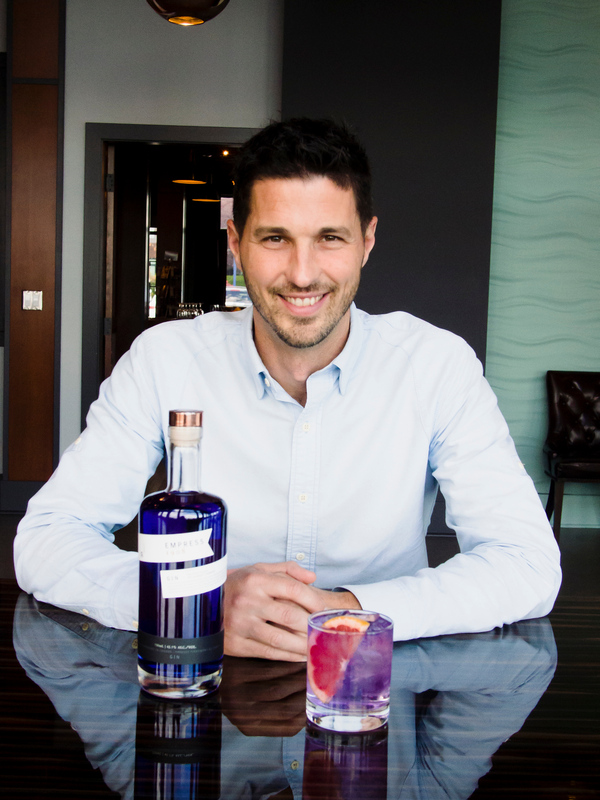 The gin is a collaboration with the hotel. It incorporates Canadian water, 7 organic botanical and the hotel’s signature tea blend – a nod to the importance of afternoon tea in Victoria and tea service at the hotel. The first thing you notice is the vibrant indigo colour, and it’s naturally that hue as it uses the butterfly pea blossom. We sample it on its own and it’s very good, similar to a London Dry. And then Peter said he’d like to pour a gin and tonic, but I needed to watch him make it. As the drink changes from a vibrant indigo to a soft pink you can’t help but be impressed. They did not intend to create a novelty drink, but it’s a chemical reaction with the butterfly pea flower. Think of it as an adult science experiment, remember PH tests? In this case the butterfly pea flower changes colour with acid – in this case the tonic. I wished I wasn’t traveling carry on so I could bring a bottle home. But Peter urged me to visit the newly renovated Q Bar at the Fairmont Empress. 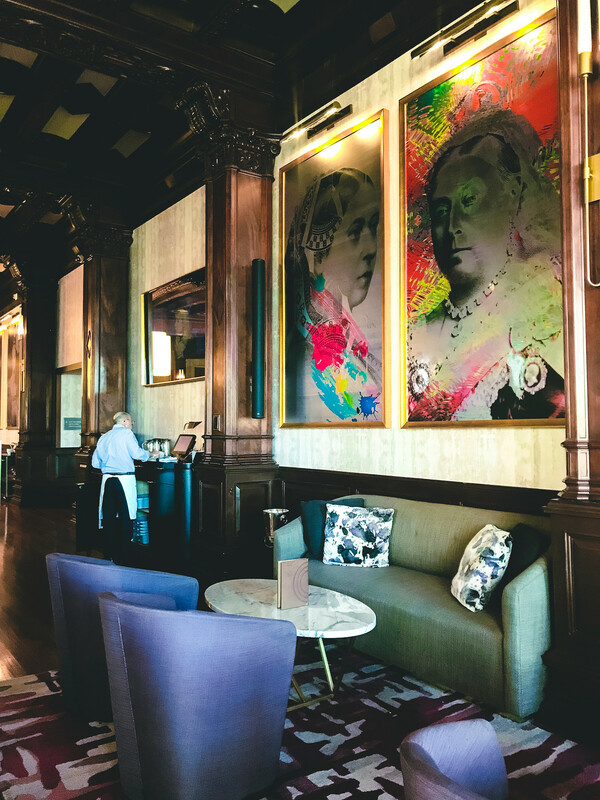 The hotel renovated the bar before the distillery revealed its colour changing gin and yet the new decor with vibrant indigo and pink is completely appropriate. 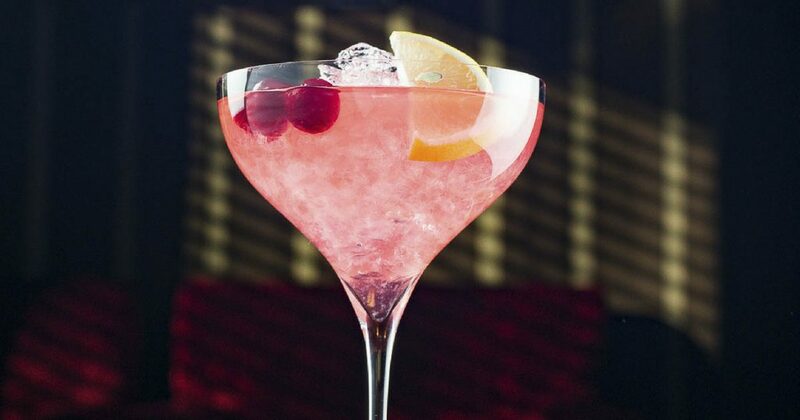 The Fairmont was so pleased with the signature gin that they created a signature gin sour called the Q 1908 Cocktail – which is not to be confused with the regular 1908 cocktail that commemorated the centennial anniversary of the hotel. Alas that cocktail uses a different, non-indigo, gin. 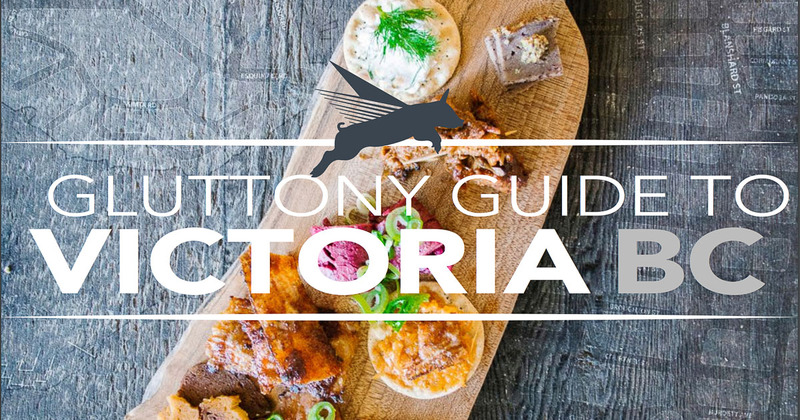 Normally a general word of food and drink advice for Victoria is that only tourist spots are on Government St. I had more than a few people tell me not to bother going anywhere there. But as always there are a few exceptions like Garrick’s Head Pub to drink craft beer in Victoria and the Empress Hotel. This was definitely true here. 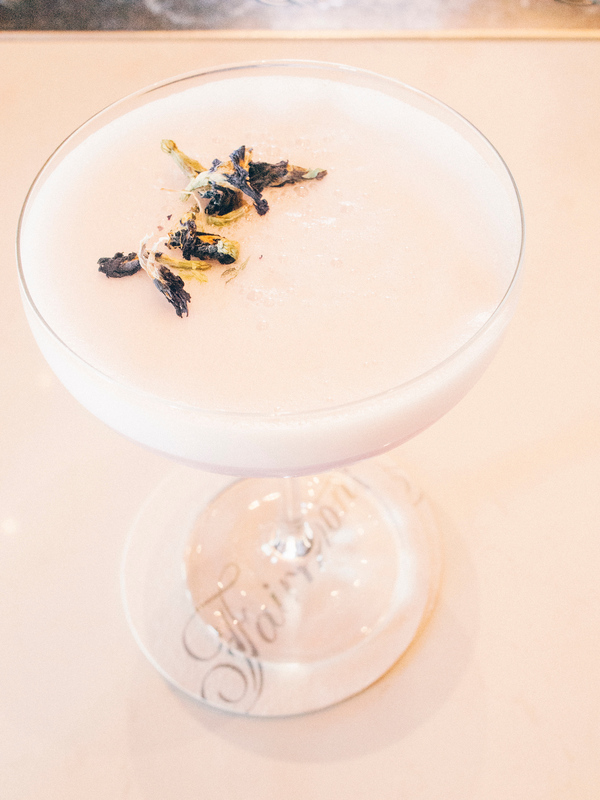 The squeezed lemon juice in this gin sour changes the drink from a vibrant indigo to a lovely soft lavender colour. Making a syrup just for cocktails sounds complicated but it’s really simple. Over medium-low heat put equal parts of water and white sugar into a saucepan and stir. Once the sugar has dissolved into the water remove from the heat and let cool. Voila! Place ingredients in cocktail shaker with ice and shake to combine.Double strain into a coupe glass and enjoy.Combine all ingredients and shake vigorously with ice. Garnish with purple pea flower. Disclosure: I discovered this gin sour drink while on a sponsored program with Tourism Victoria to write the Victoria Gluttony Guide. This post was not part of the program. But I liked the cocktail, and the story, so much I wanted to share it with you. 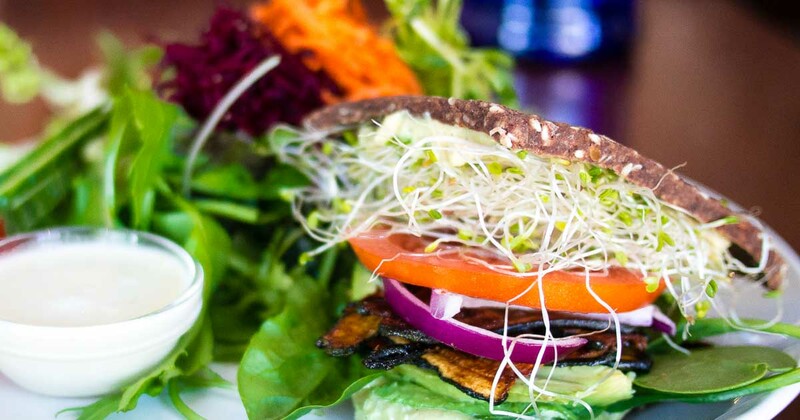 Planning a Trip to Victoria BC?